In 2007, Microsoft updated the Microsoft Office package. However, the update resulted in a number of issues, because the previous Microsoft Excel version, failed to open .xlsx files. If you can't open a .xlsx file, there are two things you can do about it. First, you can upgrade your Microsoft Office and open your .xlsx files right away. Second, you can choose not to upgrade Microsoft Office and purchase a third-party program and convert xlsx to xls. Finally, you can download and install OpenOffice, which is free and absolutely compatible with both .xlsx and .xls. In this article we are going to focus on the second method. 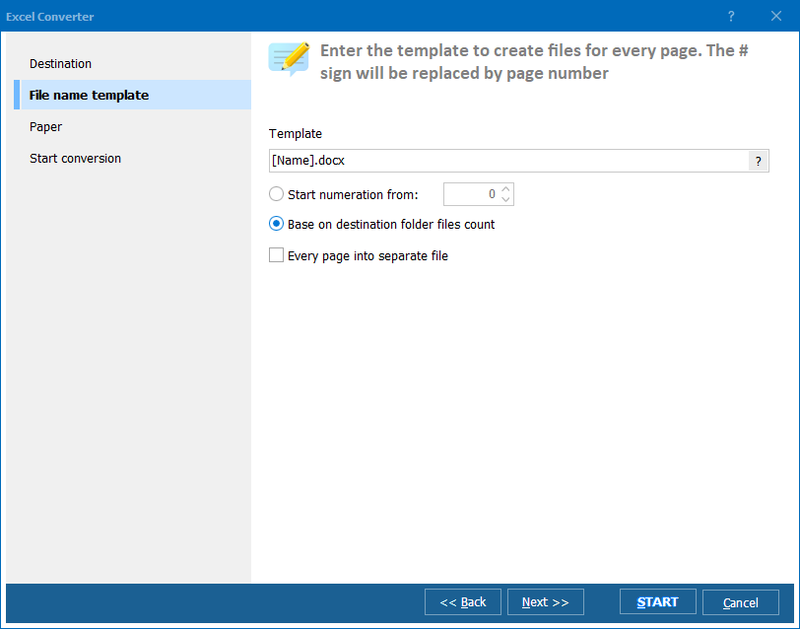 Download Total Excel Converter and navigate the interface. Scroll the file tree (on the left) and find the folder with .xlsx files. Click on the folder and check .xlsx files in the list. This program has a batch function, so you can process scores of documents in one go. To activate this function, press "Check all". The program will tick all the files in the folder. Should there be subfolders in the folder, get this program to convert .xlsx files, if any, contained in the subfolder(s) by checking the "Include subfolders" option. Select XLS in the toolbar or in the "Convert" menu and specify conversion parameters, which you can see in the popup dialog. 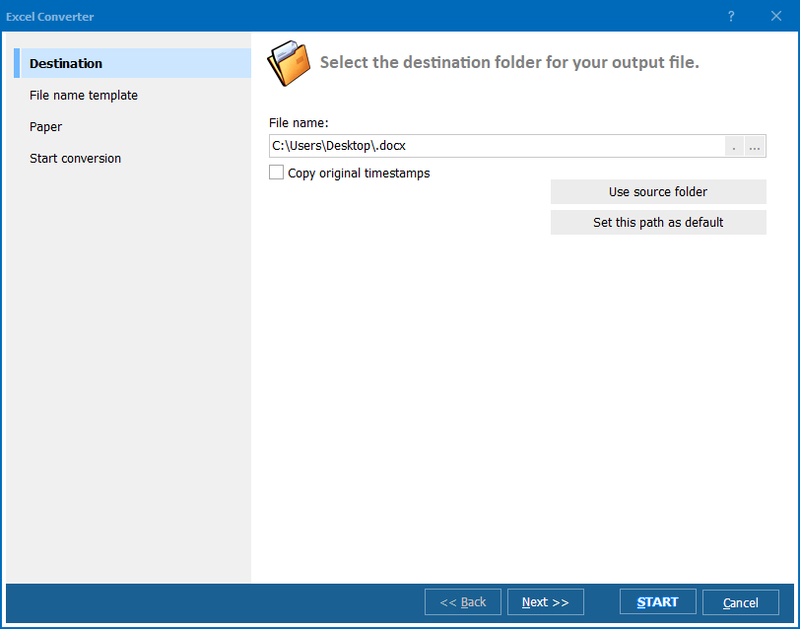 Select destination for your output documents and select your preferred file name template. Select the "Start Conversion" tab, review the parameters to make sure you have chosen appropriate parameters and press the "Start!" button. This converter is available 24/7 on our official website. Download the free demo version and practice. The free version will expire in 30 days.